We would like to invite all readers of this article to first listen to the following video. Moments on the cusp of perfection, where emotions run wild and free, are at the pinnacle of any performance art. Moments where audience and performers alike catch a glimpse of what music ought to be, and truly feel it take on a life of its own. If you live for moments like these, Raffles Chorale is the place for you. Raffles Chorale was founded in 1982, and has since grown from strength to strength, consistently being awarded Certificates of Distinction and Gold medals in the biennial Singapore Youth Festival (SYF) Choral Competition, achieving Gold with Honors award in 2011, the most recent SYF. Without a doubt, Chorale’s excellent track record contributed to its selection into the Ministry of Education’s Choral Excellence Program, as a benchmark for the school choral standard in Singapore since 1988 and was also crowned Best Choir of the Year in 1999. Chorale also regularly participates in prestigious International Choral Festivals and Competitions, having performed in nations such as Italy (2004), Finland (2005), the Czech Republic (2006, 2008), Belgium (2010) and Poland (2008, 2012), while simultaneously achieving stellar results and producing near-magical music. Under the expert guidance of our resident conductor, Mr Toh Ban Sheng (who is himself internationally acclaimed), Chorale has garnered 11 Gold awards and multiple first and special prizes to date, and stands prepared to add to that tally. Naturally, achieving such consistently spectacular results requires plenty of hard work and rehearsal time. 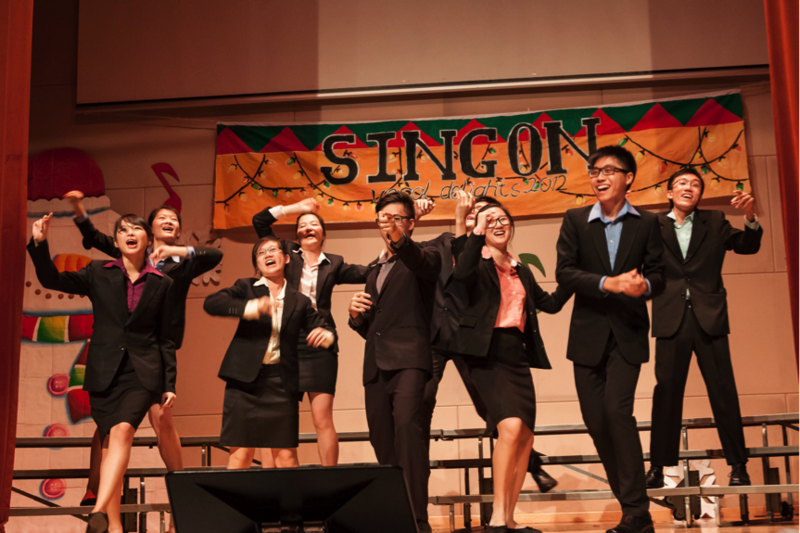 Raffles Chorale practices bi-weekly on Wednesdays and Saturdays, from 1430 – 1930 and 0900 – 1630 respectively. Practices comprise sectionals, as well as combined sessions with our conductor. While intensive at times (especially while preparing for competitions), Chorale also puts aside plenty of time for fun, with an annual activity day set aside for choir bonding, as well as numerous choir outings. Raffles Chorale also features two home-grown a cappella groups, PUNCH and FRINGE, which dabble in contemporary singles, as well as Broadway musicals. Our a cappella groups are sure to broaden your horizons to the full extent of the human voice! With 60 fellow friendly choristers, life in Raffles Chorale is bound to be fun-filled and a truly enriching experience for anyone with a passion for singing. Remember when we talked about those magical moments that make performance art worthwhile? 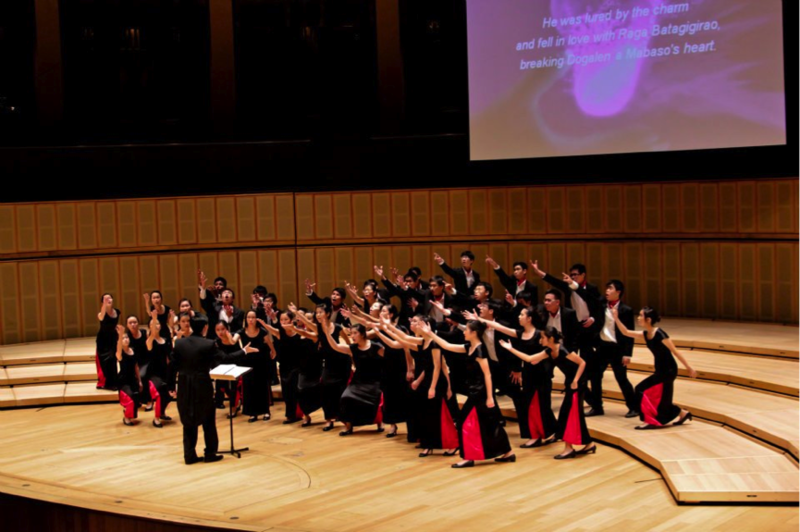 Raffles Chorale promises to deliver those moments of magic. After all, it is what all choristers strive and live for. Before we end off, here a few words from our former chairperson of the batch of 2012, Joseph. Picture yourself at the end of your JC life. What will you want to have gained after these two short years? Will JC be merely a recollection of times spent a-mugging? Or will you take the path less travelled – be a little bit busier, but receive much more fulfilment?